The City Administration Budgetary Team (TAPD) was asked to provide recapitulation of components of the 2017 APBD-P's General Budget Policies and Provisional Budget Ceiling and Priorities (KUPA-PPAS) in detail.
" 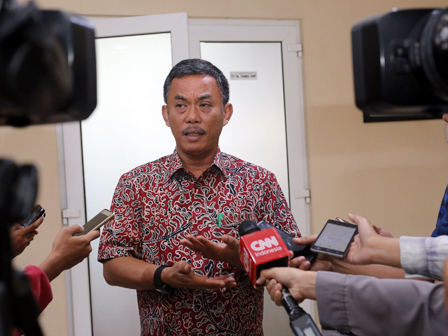 It is needed thus we can give APBD-P to be the best for Jakarta people from the planning and implementation"
"It is needed thus we can give APBD-P to be the best for Jakarta people from the planning and implementation," expressed Prasetio Edi Marsudi, Chairman of Jakarta DPRD, Monday (8/7). He also asks TAPD Chairperson, Saefullah to provide data of SKPD to his ranks. Thus it can be synchronized to the council commission who became their partners. "This is because there is a change and integration of SKPD A and B. This socialization and consolidation that I stress to the executive," he uttered. He continued, recapitulation of the requested budget component will be a condition of continuing discussion on 2017 APBD-P KUPA-PPAS in council commissions. "If the executive get that I want from Commission A-E, we can continue to discuss KUPA-PPAS," he closed.